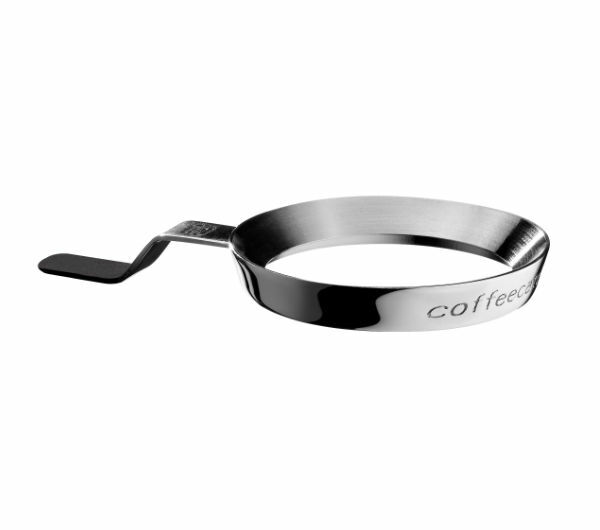 A useful tool for every barista - to minimise waste of coffee grounds! 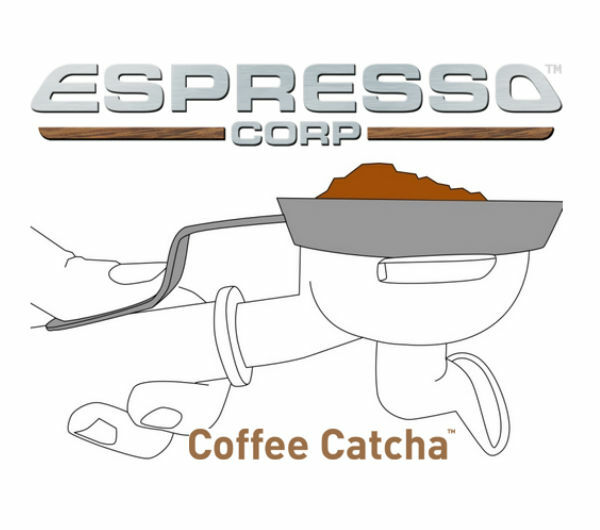 The Coffee Catcha, invented in New Zealand, is a clever device created to help baristas when dosing coffee into the basket. 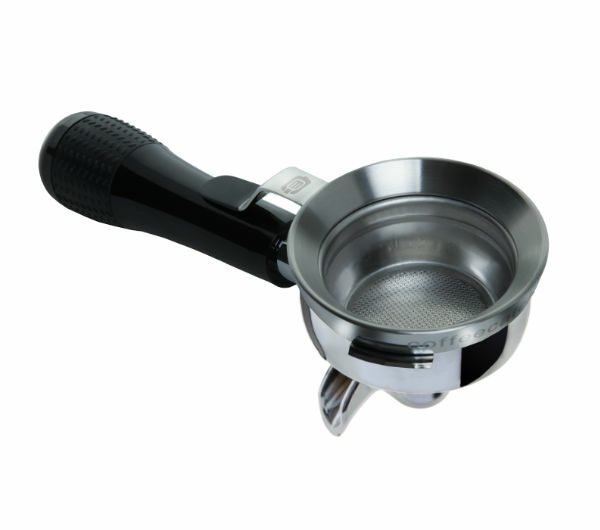 The Coffee Catcha sits on your portafilter basket edge and acts like a funnel. The basket can be overfilled every time giving correct dosage and reducing channelling. This makes overdosing for collapsing quite simple and reduces waste that can occur through spillage. 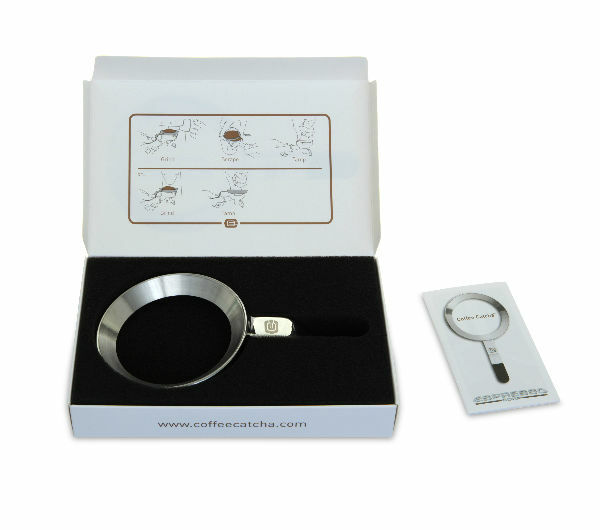 It is recommended to bend the Coffee Catcha handle to suit your portafilter - this will increase stability and hence consis-tency. This will obviously depend on the cost of coffee beans, but trials have shown that the barista will save around 5-8% of all ground coffee wastage. You may want to do your own sums to see how much money that saves you! Makes the workspace look cleaner, saves time on cleanup and the barista's hands stay a lot cleaner. Even the best baristas will attest to its usefulness! "We have been using the Coffee Catcha for about a year now - we bought it from Australia because at that time it was not distributed here. It is indeed a fantastic item. I believe it is a should-have item for every café"
"I was new to the whole coffee machine thing a while back and was looking at a few devices to make the process of coffee making easier... 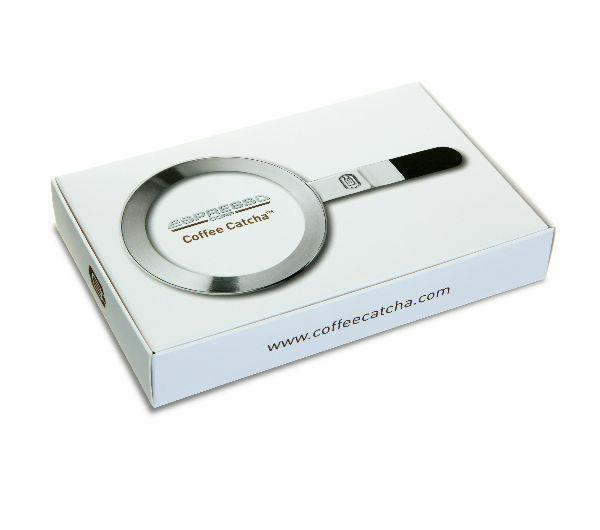 I bought a Coffee Catcha and another similar device, but Coffee Catcha was, and still is, the easiest to use. 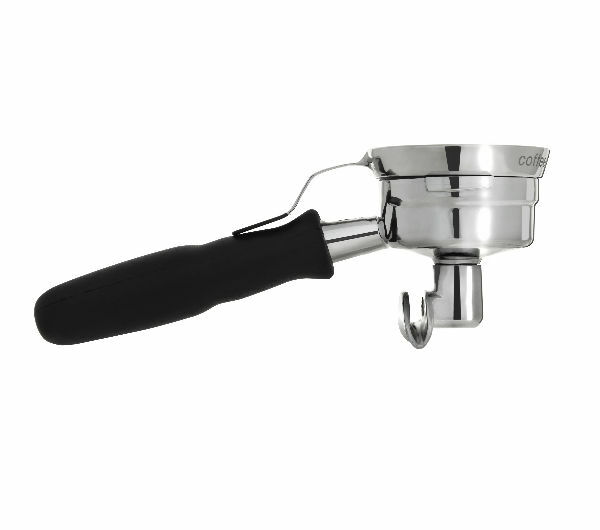 I can bend the handle to suit different portafilters and it is easily wiped clean. There is minimum spill over of coffee grinds, if any, and I can't say enough how simple and ingenious this little gadget is. I'll give it maximum star... Plus one star!" "I first saw the Coffee Catcha at a local café here in Singapore and I fell in love with it in no time! It is a must have for a cafe and individual coffee enthusiast! Now I don't have to spend my time on cleaning up the mess"